The gunmen, who seized a presenter with Wazobia FM in Port Harcourt, Anthony Akatakpo, popularly known as Akas Baba, on Thursday, are asking for a ransom of N10 million naira, the journalist’s employers have said. The management of Steam and Globe Broadcasting and Communications Limited, owners of the station are however calling for the unconditional release of Mr. Akatakpo. Mr. Akatakpo, an on-air radio personality with the station was kidnapped from his home by unidentified gunmen in the early hours of Thursday. Steam and Globe Broadcasting and Communications Limited is the owner of Cool FM, Wazobia FM and Nigeria Info. A statement by the company indicated that Mr. Akatakpo was assaulted and shot on the leg before his abductors whisked him away in his Mitsubishi Endeavor SUV with registration number LSD 871 CM. Apart from the trauma brought on the family by the violent treatment given the popular journalist, the kidnappers are said to have also demanded a N10 million ransom. Part of the statement reads, “The family and management of Wazobia FM have reported the kidnap to the police as well as other security agencies. We are optimistic that the police alongside other security agencies will do a thorough job of securing the release of Akas Baba. While pleading with the abductors to free Mr. Akatakpo, the management of the media outfit appealed to those who have information that could lead to the release of the victim to contact the nearest police station or call 08099930069 or send a text to 32355. 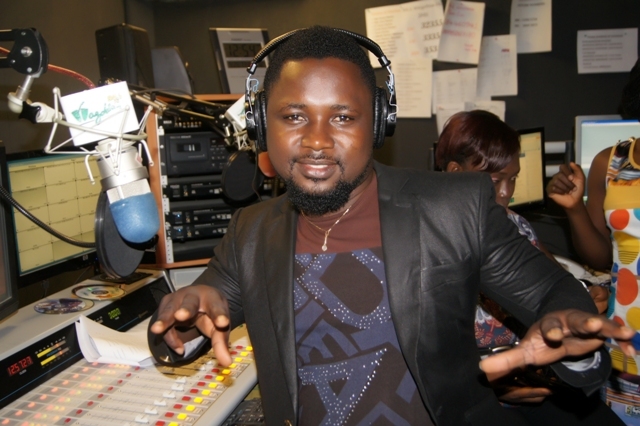 Akas Baba is the host of “Make Una Wake Up” a breakfast show on Wazobia FM, Port Harcourt. The show, which is broadcast on weekdays from 5am to 10am; is one of the most popular radio shows in the South-South zone of Nigeria.